Imagine That 3.5-5 Year Old Classes! 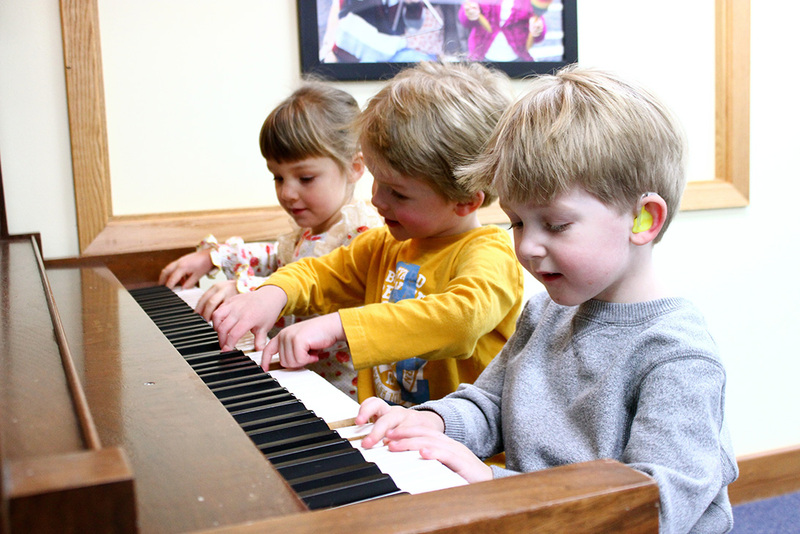 Kindermusik Imagine That classes for preschoolers engage your child’s natural love of songs, instruments, movement and imaginative play with age-appropriate activities that introduce early music concepts. 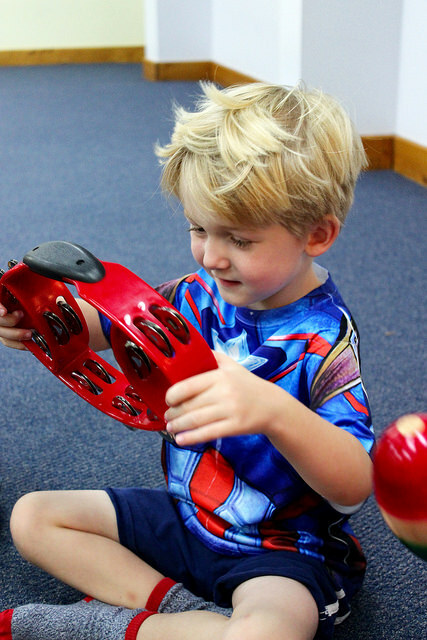 Thoughtfully sequenced lessons include all kinds of learning opportunities and are designed to boost your child’s independence, social-emotional skills, early language and literacy and self-control. Pretend play activities are integrated with music, vocal development, storytelling, movement, and literature to capture the preschooler’s potential to learn and to encourage cognitive and literacy skills, creativity and individuality. 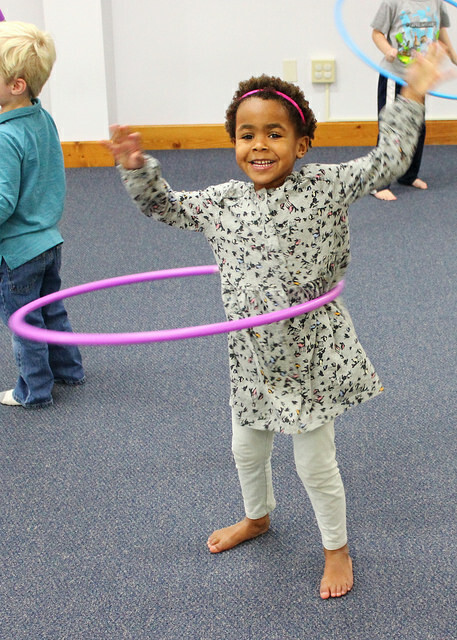 Designed as a drop off class WITHOUT a caregiver for active, energetic, enthusiastic and imaginative children ages 3.5 to 5, Imagine That! classes encourage socialization, sharing, and participating in group activities. 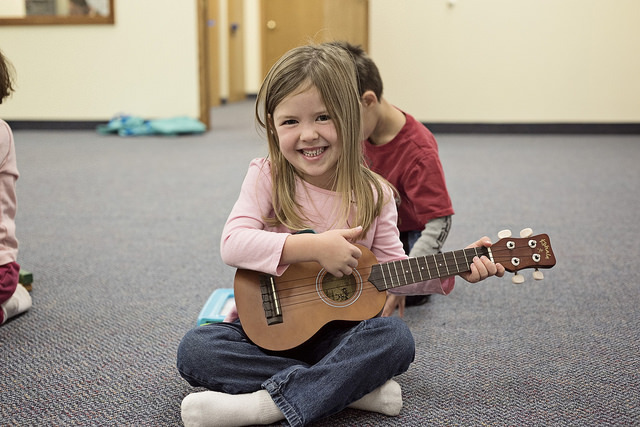 Singing becomes a focus for enhancing the preschooler’s vocal development as expressive language is just beginning to emerge. One set of At Home Materials —A cool back pack and 40-page activity book, two literature books, play set or game, instrument and two CDs of music from class. 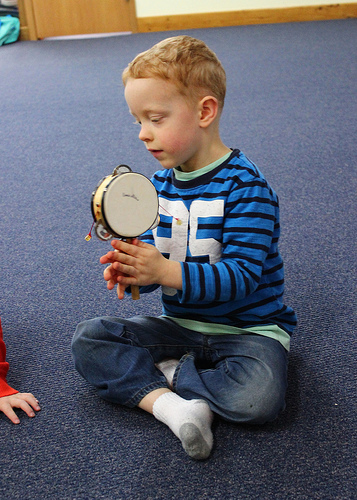 Kindermusik has been an amazing contributor to shaping my son’s personality! Music class was part of his life as an infant, a toddler and now a preschooler in the drop off classes. He is learning that music isn’t just something that he can do with mom but something that is a part of how he sees the world! Since starting the drop off class he makes up songs about everything we do, he hums tunes while he plays and plays instruments around the house. As we have him in sports, swimming and other activities, I am so blessed that we decided to keep him in music as well. It helps foster his creativity and let his personality shine through. I highly recommend the class! My son is attending Imagine That for the first time this fall semester and he absolutely LOVES it. We did several Our Time classes together and I chose to keep him going in Kindermusik with the drop-off class. I’m a stay at home mom and I thought that Imagine That would be a great opportunity to not only keep my son learning and loving music, but to get him used to a school setting – being away from Mama and being okay on his own. Week by week I’ve watched him gain self-confidence and of course, watched his love for music and Miss Kim grow. My son has an older sister and he is so proud to tell her about his day at “big boy music class” when she comes home from school. 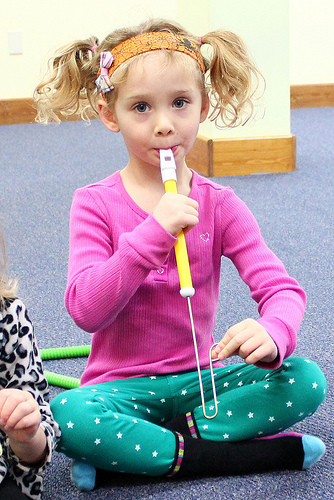 I’m a huge Kindermusik advocate and I would highly, highly recommend parents to keep going with the drop-off sessions. It’s a small, intimate, familiar setting for children to gain confidence, learn and feel loved and safe when mom or dad isn’t there. JOIN US this Winter Spring in Imagine That!